Whether you’re actively looking for diesel generators for sale or just browsing out of curiosity, the chances are, you’ve considered the possibility of buying one at some point. There are many reasons for considering the installation of a diesel generator and the biggest is the desire to ensure against loss of power. For some businesses or homeowners, losing power means losing money and can even cause health issues where medical equipment is needed. It’s quite an investment though; so it makes sense to fully research and understand the various aspects of diesel generators before making the leap and purchasing one. Doing a little research into the benefits of a diesel generator is always sensible, as you don’t want to leap blindly into such a commitment without considering all the facts. Are diesel generators worth it? This is something which many would-be generator owners ask themselves. As we’ve mentioned, a diesel generator is quite a big investment, so most people want to be certain that they’re making a good decision before purchasing their first generator. Your reasoning behind the idea will, of course, be different from the next person’s reasoning. Here are some of the situations where a diesel generator is a useful commodity. Any large residential estate which may be out in the sticks will benefit from the presence of a diesel generator simply because the power supply in many rural areas is hit and miss, especially during bad weather. A diesel generator is a reliable backup system which will ensure that you’re never without power. With regards to farms, wineries and food processing or retail businesses, diesel generators act as a sort of insurance policy. In the event of power cuts, your generator could save you thousands in lost produce or lost business. Keeping your refrigerators running is vital if you deal with large quantities of food or produce. So answering the question “is it worth it?’ seems simple when these factors are considered. Why choose a diesel generator in particular? Some of the main benefits of diesel-fuelled generators are listed below. Your diesel generator must suit your need in terms of how much power you’re going to potentially need it to supply. The fact that this is something you can tailor, is a definite bonus. 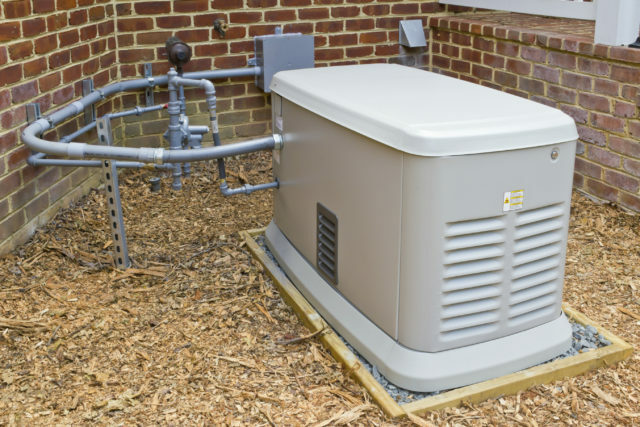 No need to purchase the largest available generator if you’ve only got a small business or if you’re purchasing a diesel generator for the home. You can calculate your maximum power usage and then select the right diesel generator for your needs. This isn’t hard to do and talking to generator suppliers and specialists will help you get started in working out the best model for you. If you’re interested in working out the potential cost of fuel for your diesel generator, then this handy tool calculates the energy and fuel consumption of whichever size generator you’re interested in buying. Unlike gas-powered generators, diesel generators don’t need a mains connection, which is perfect if there isn’t one in situ! Many more rural properties don’t have the option of gas, so diesel makes things easy. Fuel can also be safely stored on-site and used as and when needed. Diesel generators are used all over the world and in many environments. They’re suitable for domestic application as well as industrial usage. Generators are also simple to use and with a minimum maintenance required, they’re the perfect backup system for those of us who don’t want to lose power supply for even a few hours. To learn more about safely using your generator and also about how to protect it from harsh environmental factors, look at this guide from Worksafe Queensland which explains many important points. There’s a lot of useful information out there which will help you in your research and taking advantage of these resources will be a great way to ensure that you purchase the right diesel generator for your needs and that you know how to run it in the safest and most effective fashion.